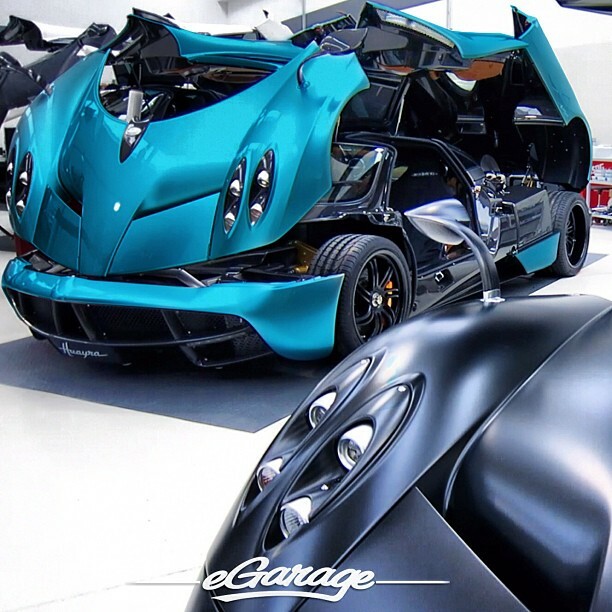 Prototype 0: First Light blue Huayra! We still don't know many informations on this car but from the picture you can notice yellow brake calipers, black wheels (if they aren't test wheels) and this beautiful lightblue paint. Maybe the interiors could be configured in relation of the exterior but it's just a guess.